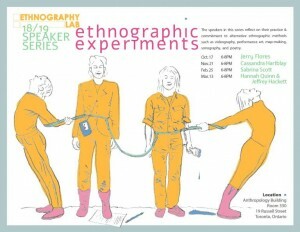 In this post, we learn more about the genesis of the Ethnography Lab at the University of Toronto and the wide range of work they have undertaken, from forging partnerships to collecting ethnographic research in the local community, to integrating teaching, and profiling new and exciting developments in the field of ethnography. In 2014, a group of graduate students and faculty members in the U of T Department of Anthropology created an informal but meaningful space to connect around a shared commitment to a specific form of qualitative research: ethnography. While ethnography emerged in the late 19th and early 20th Centuries alongside Western colonial encounters with groups of ethnic “others”, over time this method of qualitative inquiry and genre of writing about culture, has diverged significantly from those dubious origins. Ethnography is no longer a research method reserved for the objectifying study of bounded and disparate groups of people. Rather it has expanded to be adopted by researchers beyond the field of anthropology and the academy who apply it to a wide range of studies. Such studies often focus on decentered, de-territorialized, and complex processes of the contemporary globalized world. 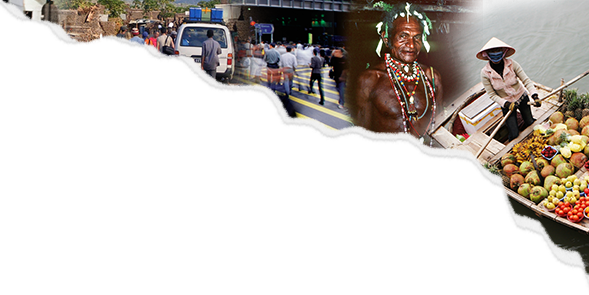 What is unique about ethnography is an attention to detail, obtained through methods for collecting data about people’s daily lives, the social systems and constellations of meanings they create, and how these structures in turn shape the people who inhabit them. 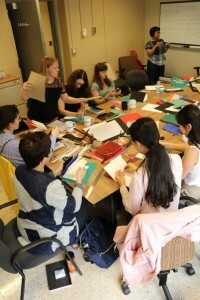 Through a shared appreciation for ethnography’s effectiveness in shaping new understandings of society and social change, this ad hoc group of students and professors developed a new space to exchange ideas. Initiated by Prof. Joshua Barker, an associate professor of anthropology at the University, the new group initially formed around the working title of “Ideas Shop,” where the goal was to collaborate on workshopping various ideas and projects related to ethnography. The space was open to a self-structuring team of ethnography-minded academics from various disciplines and non-academics. Enthusiastic, and fuelled with the prospect of carving out a new mandate, we began the process of institutionalizing what has since become known as the Ethnography Lab. This new name was centered around the strategic desire to associate with a growing global network of ‘labs’ (such as Harvard’s Sensory Ethnography Lab or the MIT Media Lab) that were developed to encourage collaboration and experimentation on thematic topics. We negotiated office space, obtained seed funding, established a wider network, developed a website, and established roles and responsibilities for our members, building interest groups and planning activities. From the outset, our first goal was to make the inner workings of ethnography more transparent by removing ethnography from its black box and talking in specific terms about the nuts and bolts of doing fieldwork. We had to create a venue to share the problems, challenges, successes, breakthroughs, and experiments in our research in a supportive, low-stakes, and non-judgemental environment. As students and graduate students, we shared moments of confusion and anxiety around preparing and leaving for fieldwork, immersion in the fieldsite, and returning to dizzying task of making sense of our data. In our discipline, collaborative projects are rare. Anthropology has long celebrated the idea of the lone-ranger anthropologist who, in the genealogy of Bronislaw Malinowski, Franz Boas, and Margaret Mead, sets out on their own to master a new place. Not only does this tradition contain ethical and ontological problems, it is also frankly shrouded in mystery. What does doing ethnography actually entail? Are we really all supposed to be on our own, bumbling around and figuring things out as we go, as if we are the first to have done so? We thought not. Second, we wanted to build a wider network with other universities, anthropology departments, and ethnography labs, in Canada and internationally. Most of us were transitioning from graduate programs to post-doctoral positions, academic and other labour markets and we felt that this network would help us take our research and skills as students of ethnography to new places and institutions. Early network building thus influenced the establishment of the Ethnography Lab at Concordia University. In 2016, we developed a partnership with Humboldt University’s Georg Simmel Center for Metropolitan Studies in Berlin, forming an international collaboration focused on ethnography’s uses in urban settings called the Urban Ethnography Lab. Additionally, the University of Osaka is establishing their own ethnography Lab based on our model after four years of hosting graduate students from Osaka University’s RESPECT program. When you work with creative, supportive people who have come together to incubate and share ideas, the momentum builds quickly. In 2014, we launched the Kensington Market Research Project with the aim of producing an unprecedented body of rich and detailed knowledge about Toronto’s most celebrated multicultural heritage district. 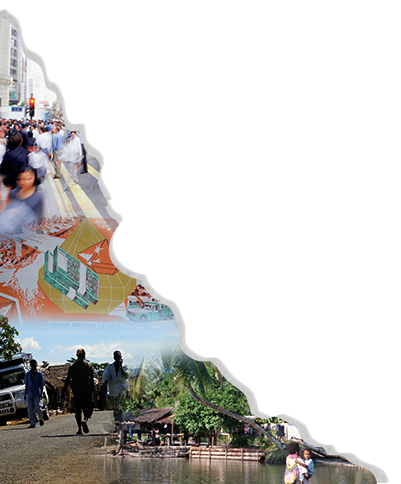 We also created the Infrastructures Research Group, a collection of projects that use ethnography to understand the formal and informal politics that affect global access to urban infrastructures like railroads, water pipes, and electricity. In the spring of 2016, the Ethnography in Canada group hosted a day-long conference that showcased what ethnography in and of Canada is today. In the spirit of integrating undergraduate students into the lab, and being a center for methods-based teaching, we linked the lab to three undergraduate applied research opportunities. ANT 447H1S: Metropolis: Ethnographic Practicum taught undergraduates, with the help of graduate teaching assistants from the lab, how to conduct ethnographic research in Toronto’s Kensington Market neighbourhood. ANT473: Anthropology of the University was designed to teach students ethnographic approaches to understanding and analyzing power dynamics in the university setting. Finally, students were selected on a competitive basis to participate in the Centre for Research & Education for Social Transformation (CREST) program in Kerala India, where interns used ethnographic methods to understand issues related to ethnic, class, caste, and gender disparities in the workforce. Based on the success of these programs, and inspired by the model of the archaeology summer field school, the Ethnography Lab developed its own high school ethnographic field school. In the program, students from local high schools explore the topics of culture, history and social change in Kensington Market, while also learning basic qualitative research methods. Most recently, in our international collaboration, the Urban Ethnography Lab, we held two workshops: Ethnography in Urban Settings in Toronto (2017) and Beyond Urban Transformation in Berlin (2018). Both of these events brought together anthropologists, geographers, designers and urban specialists to think about innovative ways to qualitatively study cities and urban transformations, and featured hands-on activities where we experimented with different methods like sensory mapping, smellscapes, and digital-mediated observations. We are also in the fourth year of our interdisciplinary speaker series, which is open to public, professional, and academic audiences alike. The theme for 2018-2019 is Ethnographic Experiments and includes presentations on video ethnography, arts-based methods, sonography, and mapping. Running through all of these initiatives is a commitment to doing grounded, people-centered research and advocating for the continued relevance and force of ethnographic approaches to generate understandings of the world that are legitimate, empirical and evidence based. In the future, we hope to continue building our international network of ethnography enthusiasts as we innovate new ways to approach the method, while paying homage to its positive established facets.